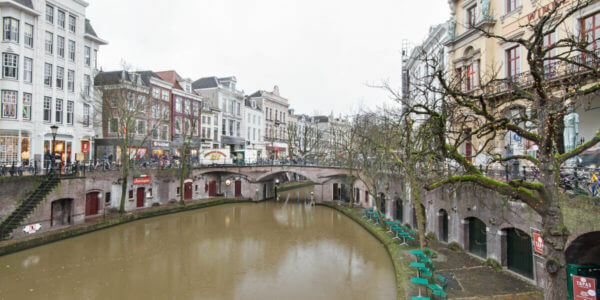 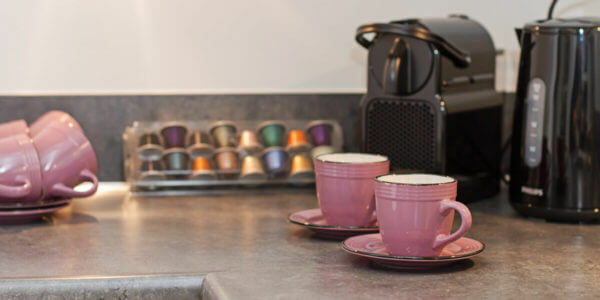 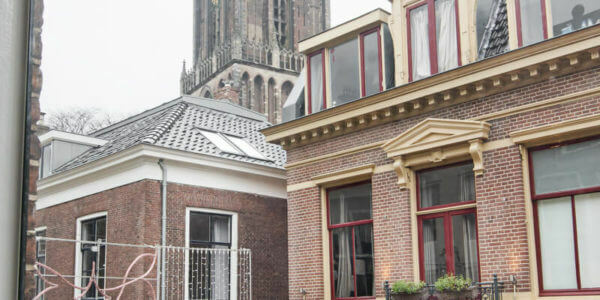 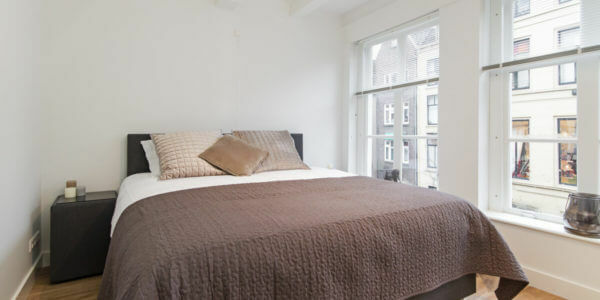 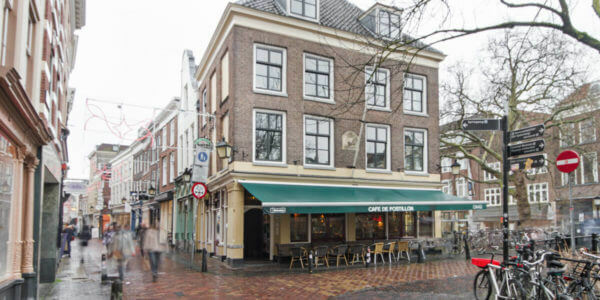 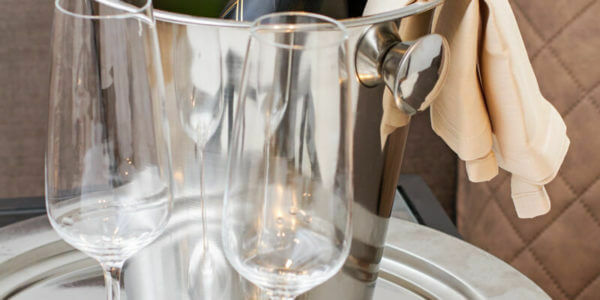 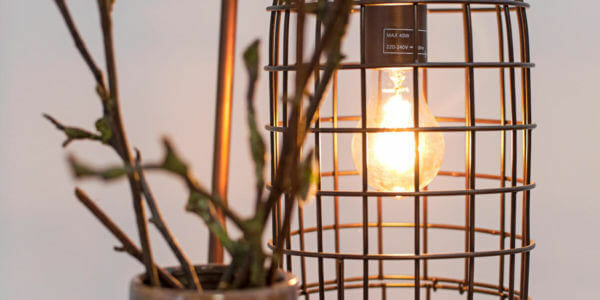 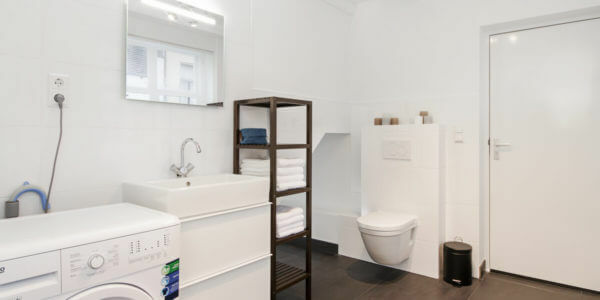 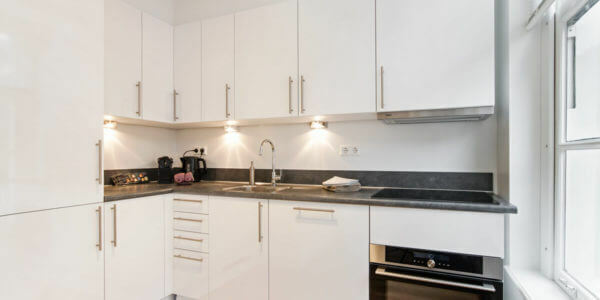 The Canal Apartment Donkere Gaard is located in the very heart of Utrecht’s city centre. 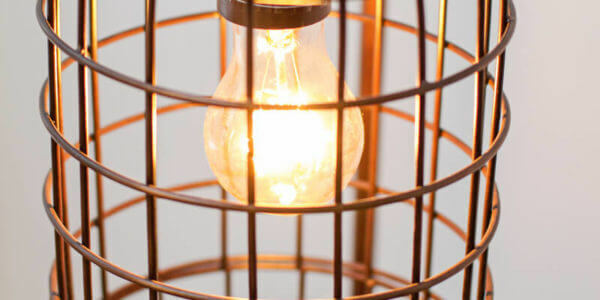 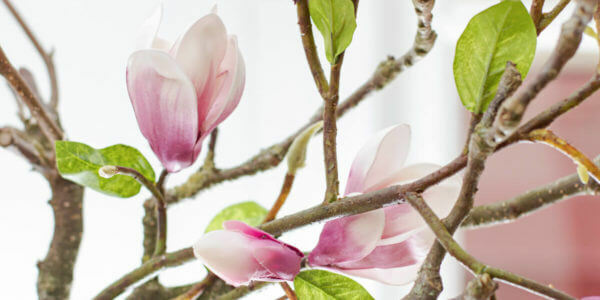 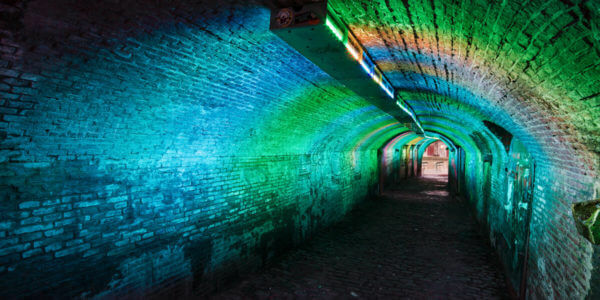 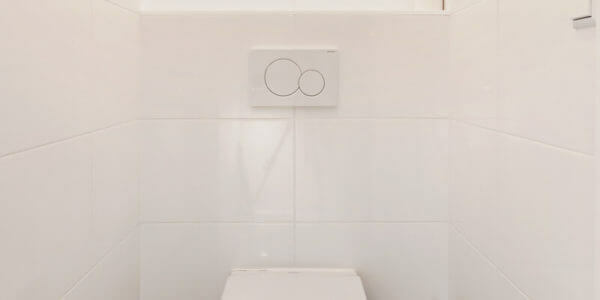 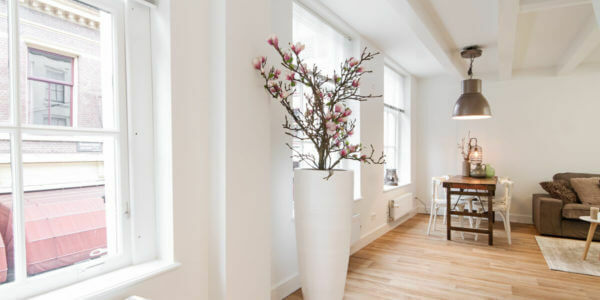 It is located at the first floor of the building, that can be entered by a stairway on the ground Floor. 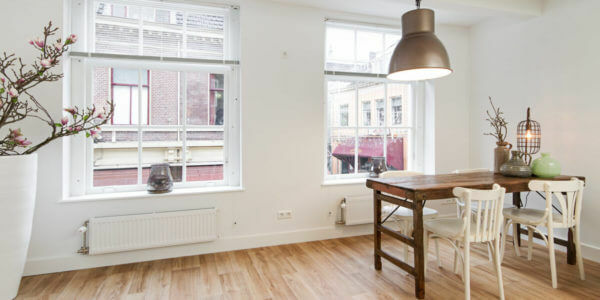 The apartment has been completely renovated and includes everything one needs to make a temporary stay in Utrecht to a success. 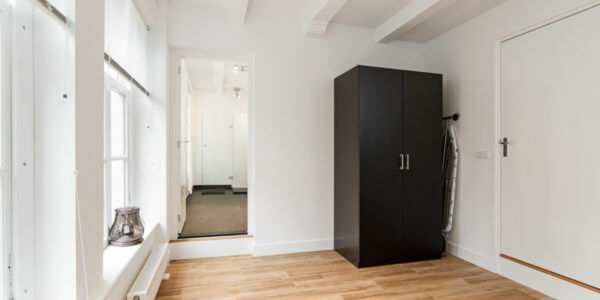 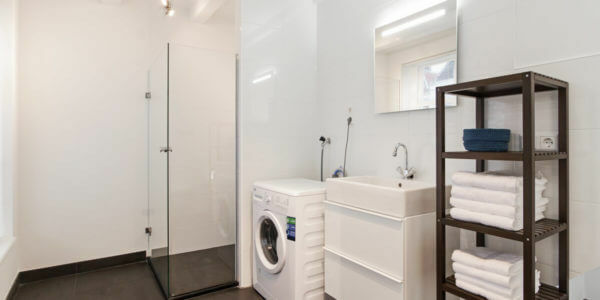 The apartment has got a warm and contemporary interior, a new kitchen and large bedroom with ensuite bathroom. 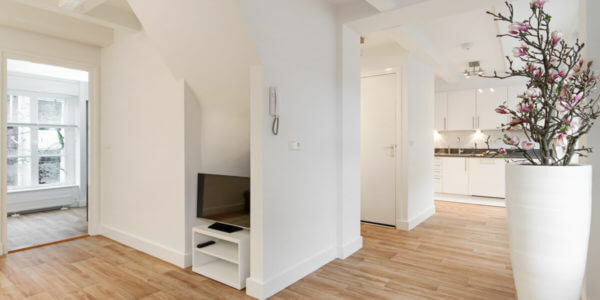 The area in which this apartment is located, has been built in the Middle Ages, around the 13th century, and thanks its name to an orchard that used to be located in cosy small square. 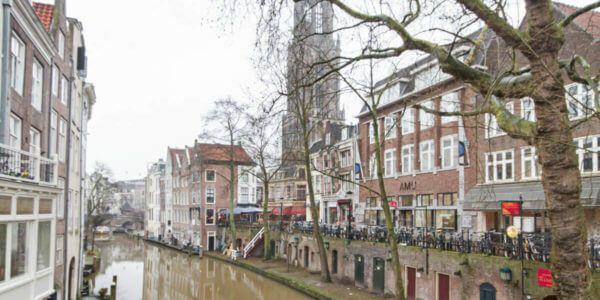 From the living room one has a stunning view on the “DOM tower”, restaurants and terraces. 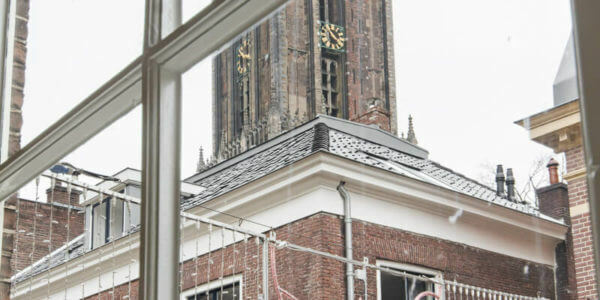 From the bedroom the eyes are spoiled with a beautiful view over Utrecht’s main and most famous canal, “The Oudegracht”. 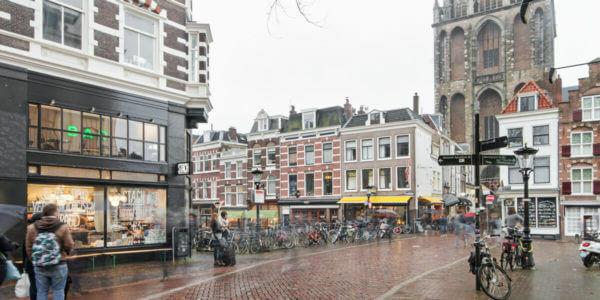 Utrecht Central Station, the largest station in the Netherlands, is only a 10 minute walk away. 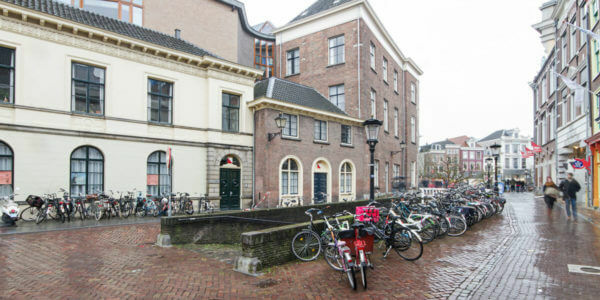 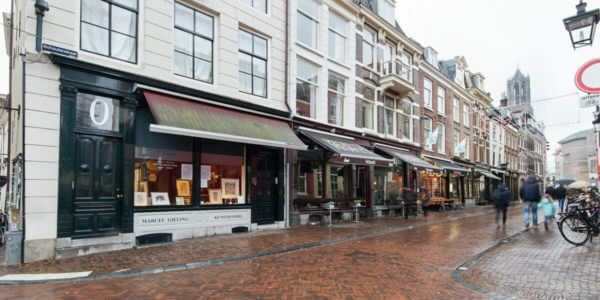 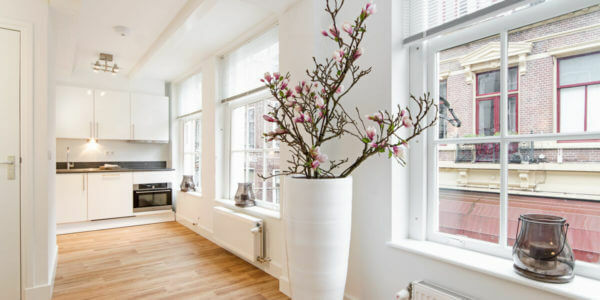 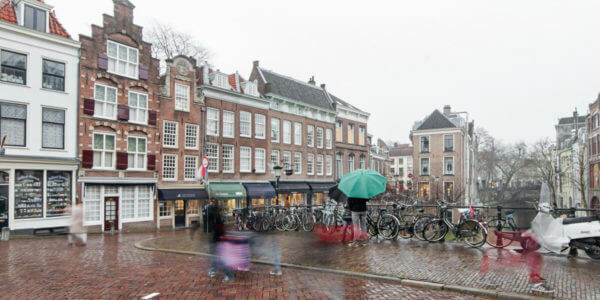 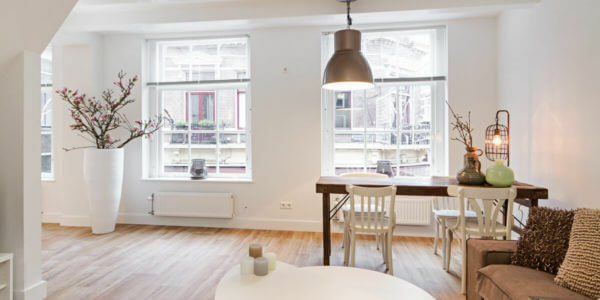 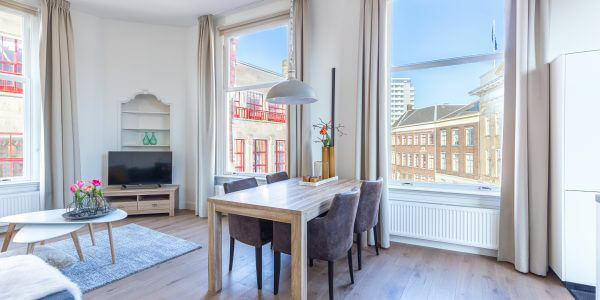 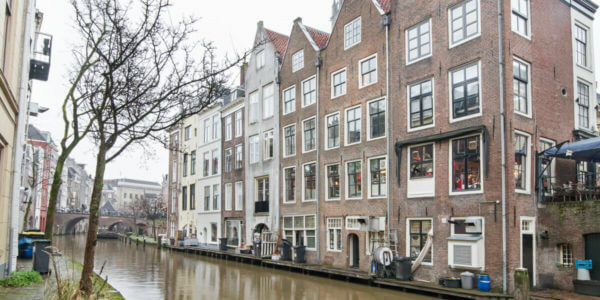 Shops and restaurants of the inner city, along with Utrecht’s numerous squares with bars and boutiques, are all located within walking distance of this completely renovated apartment.